Are Naturopathic Doctors Licensed in Texas? No, Naturopathic Doctors are not currently licensed in Texas. Right now there are no requirements and anyone can call themselves a naturopathic doctor in Texas. Are the members of the Texas Association of Naturopathic Doctors (TxAND) licensed? Our doctor members are all graduates of accredited naturopathic medical schools and maintain a current license in a state that licenses naturopathic doctors. Where are Naturopathic Doctors licensed? Canadian Provinces: British Columbia, Manitoba, Ontario, and Saskatchewan also have licensing laws for naturopathic doctors. How can I find a Naturopathic Doctor near me? For a directory or map of naturopathic doctors in Texas go to the "Find A Doctor" tab in our menu above. Attend and graduate from a 4-year naturopathic medical school accredited by the Council on Naturopathic Medical Education (CNME) then pass your board exams administered by the North American Board of Naturopathic Examiners (NABNE). 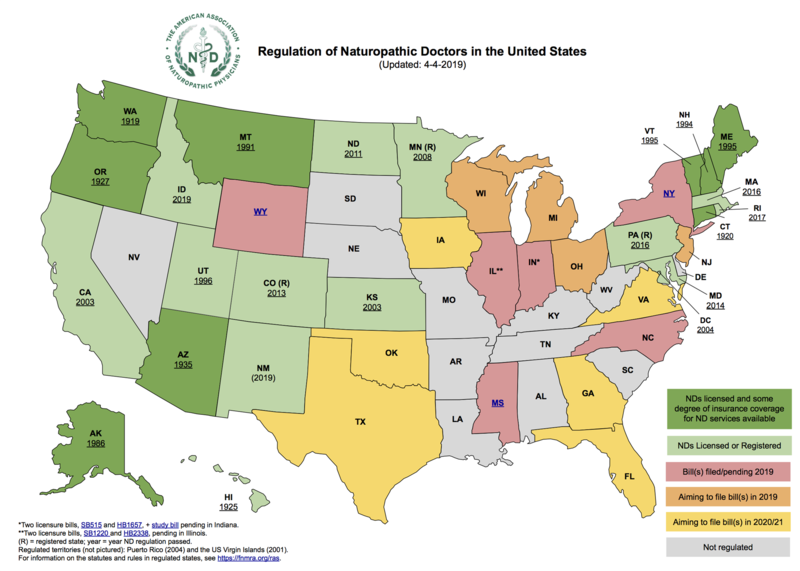 States that license naturopathic doctors have their own requirements in addition to these. How do I find an accredited Naturopathic Medical School? There are currently 8 accredited naturopathic medical schools; 6 in the U.S. and 2 in Canada.